The area’s first inhabitants were farmers, fishers, gatherers and hunters who lived off the abundant resources, on land and in the waters. These peaceful Native Americans, headed by leaders such as Chief Tallahassee, Tom Tiger and Chief Chipco, made their homes along the shores of Lake Marion, Johnson Island and Paradise Island. Florida was one of the first areas visited by Europeans as they began their exploration of the new world in the 1600’s and 1700’s. Friction between the emigrants searching for opportunities and the Native Americans resulted in the Seminole Wars of the 1840’s and 50’s. After the wars, a majority of the natives were removed to reservations in the west. The remaining Seminoles retreated to the impenetrable Everglades. They were eventually recognized as a sovereign nation and granted the Central Florida lands on which they live today. Settlers in the Haines City area enjoyed wild game and fish. They gathered native fruits and vegetables. The pine forests produced lumber and turpentine. The fertile soil grew a variety of crops. Farmers planted citrus trees, starting an industry that sustained the region until the present day. In 1909 a small group of farmers formed a citrus growers association. Still in business today, Haines City Citrus Growers Association became the city’s largest employer and one of the state’s largest co-ops. 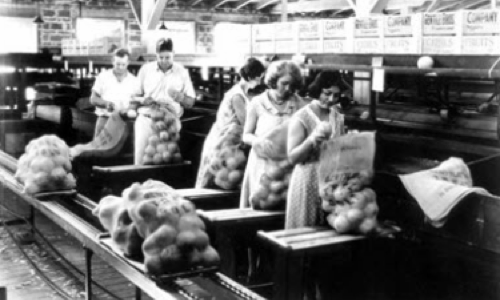 In 1915 Florida Fruit Products Co. pioneered production of bottled grapefruit juice. In the 20’s Ralph Polk established a grapefruit sectioning plant. His company was Florida’s leading citrus processor throughout the 20’s and 30’s. His success led to construction of the Polk Hotel, now restored and home of the Landmark Baptist College in historic downtown. Much of the downtown’s buildings were constructed during this period and are now listed on the National Historic Register. 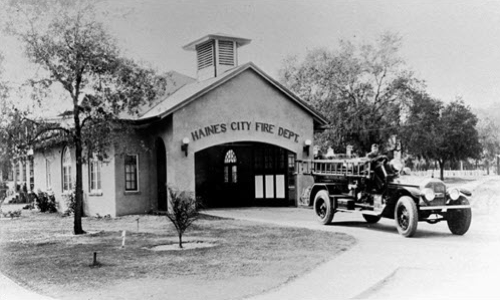 Haines City’s Clay Cut Centre served more than 55 years as the community’s grammar school and then as our high school. 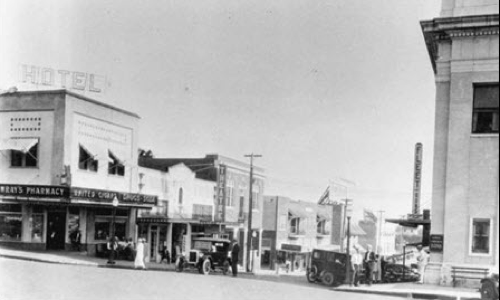 Grant funding is being pursued to restore the building, currently used for the Haines City Community Theater and Northeast Polk County Historical Society. In the late 1940’s another pioneering venture changed the citrus industry’s character and future when Haines City businessmen began experimenting to develop frozen citrus concentrate. Even as frozen concentrate became widely available, the fresh citrus market remained the leading economic driver in central Florida for decades. In the last 40 years, entrepreneurs have started a wide variety of businesses, expanding the community’s economic base into manufacturing, service and retail sectors. In the early 70’s, Walt Disney’s purchase and development of Disney World, just 15 miles north of Haines City, changed the entire region’s economy. Tourism now ranks among the area’s top economic engines. History has been good to our region; tomorrow holds promise that our abundance will continue.